The tragic true story of a confluence of storms destroying the Andrea Gail and its crew off the shore of Gloucester, Massachusetts was first written about in a best-selling book by Sebastian Junger. Then, 15 years ago today, it became a hit movie starring George Clooney, Mark Wahlberg, John C. Reilly, and Diane Lane. Here are 15 things you might not know about The Perfect Storm. 1. MEL GIBSON, HARRISON FORD, AND NICOLAS CAGE ALL TURNED DOWN PARTS. Unlike Cage and Ford, Gibson simply wanted too much money ($25 million). Gibson’s The Patriot ended up opening on the same weekend as The Perfect Storm and came in second. 2. GEORGE CLOONEY WANTED TO PLAY BOBBY. Director Wolfgang Petersen convinced Clooney that he was the perfect age to play the 37-year-old captain Billy Tyne. 3. CLOONEY AND WAHLBERG DIDN’T WANT TO HAVE BOSTON ACCENTS. Wahlberg spent a lot of time and effort getting rid of his local accent, and called it “a real turnoff” that he would have to resurrect his old speaking habits. Clooney flat out refused, saying audiences would focus on his accent rather than pay attention to the movie. 4. 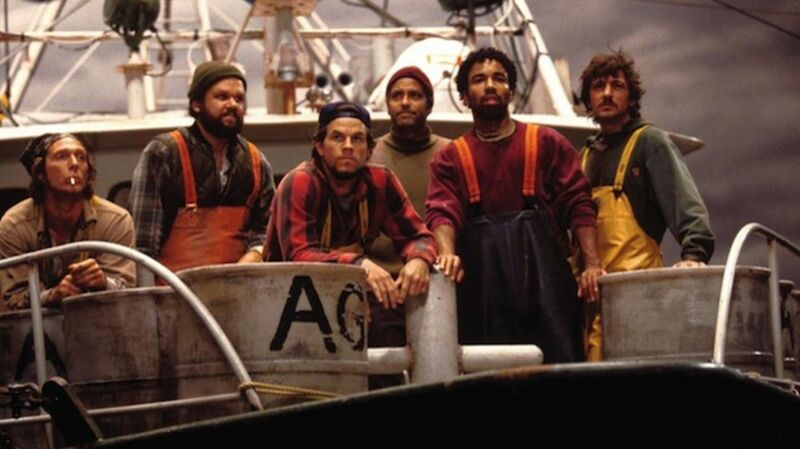 THE FAMILIES OF THE ANDREA GAIL CREW MEMBERS UNSUCCESSFULLY SUED THE PRODUCERS. They were upset that the names of their family members weren’t changed, but some facts from the 1991 incident were. Among the major discrepancies: Linda Greenlaw never actually placed a distress call, because she didn’t hear any urgency in Tyne’s voice. There was also no romance between Tyne and Greenlaw. 5. ONLY ONE CHARACTER WAS MADE UP FOR THE MOVIE. Irene “Big Red” Johnson was pure invention. 6. MICHAEL IRONSIDE WAS ALMOST TOO PERFECTLY CAST AS BOB BROWN. The actor looked so much like him that a Gloucester local thought Ironside was Brown. 7. WAHLBERG SLEPT IN BOBBY SHATFORD’S ROOM WITH BOBBY’S BROTHER. He wanted to pay his respects and do his research. He briefly lived in Bobby’s tiny room about The Crow’s Nest bar with Bobby’s brother, Rick. 8. THE DIRECTOR FELT PRESSURE FROM A LOCAL BOAT CAPTAIN TO GET IT RIGHT. A drunk Gloucester captain didn’t know Petersen’s background when he told him at The Crow's Nest to “make it real.” It motivated Petersen—who grew up in the German port city of Hamburg and had previously directed Das Boot—even more to get it right. 9. AT LEAST HALF OF THE CAST AND CREW GOT SEASICK. Wahlberg vomited at least once. The cast and crew had to deal with going out on the water during Tropical Storm Floyd and with water tanks, wave machines, and water cannons. The galley was set on a rocking platform. Karen Allen thought she might drown and nobody would notice. 10. CHRISTOPHER MCDONALD HAD TO SAY THE NAME OF THE MOVIE 25 TIMES. Petersen made sure that McDonald (who played meterologist Todd Gross) said his line—“This could be ... the perfect storm”—just right. 11. YES, CLOONEY DID HIS PRACTICAL JOKES ON SET. John Hawkes (Bugsy), Wahlberg, and Diane Lane (Christina) all claimed that his jokes were funny and lightened up the sometimes grueling shooting, but none got into specifics. 12. JAMES HORNER COMPOSED THE SCORE. The accomplished film composer also worked on and won an Oscar for that other ship disaster movie, Titanic. Tragically, he recently died in a plane crash. 13. NO FISH WERE HARMED IN THE MAKING OF THE FILM. The fish caracasses were rubber. The live fish were robotic. 14. THE STUDIO DIDN’T WANT JOURNALISTS OR ACTORS TO SPOIL THE ENDING. 15. THE BOAT FROM THE MOVIE CAUGHT FIRE. The Lady Grace was sold on eBay for $145,000 to Legal Sea Foods (the company earmarked funds for the families of the Andrea Gail crew.) It was later bought by seafood processor Intershell, and was under construction to become a clamming vessel in 2004 when it caught fire, causing about $150,000 worth of damages.